With a new year comes a new start; making goals and going on a diet is how I spent my January! Looking at where I want to improve my personal life might be one set of goals, but when it comes to work goals, my research, so far, has been about upcoming interior design trends for 2016. Turning your bathroom into a place full of style and luxury is something that is actually possible with the right materials. Using marble for an elegant look and beautiful fitting is just one of the elements which can give your bathroom a superior feeling. You can have a boutique hotel bathroom suite in your own home! With so many choices for gorgeous glossy tiles, you will be spoilt for choice when choosing something for your bathroom remodel. Choosing rectified large tiles, with minimal grout lines will give you a cleaner look. Some designers prefer to use smaller tiles, with more than one colorway or texture. 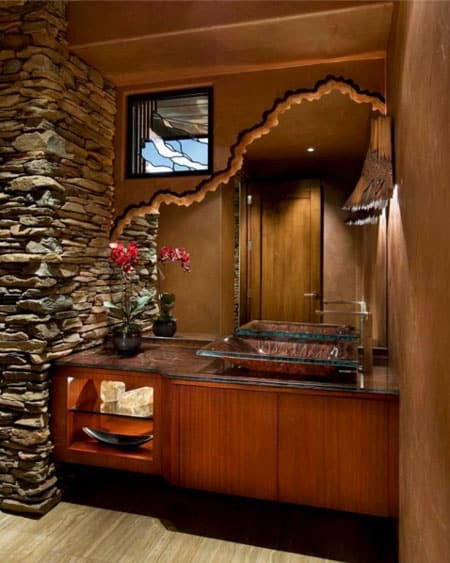 Practicality calls for having more than one sink, with his and her towels to fit underneath the double basins. More room for products and no waiting around to get ready in the mornings! 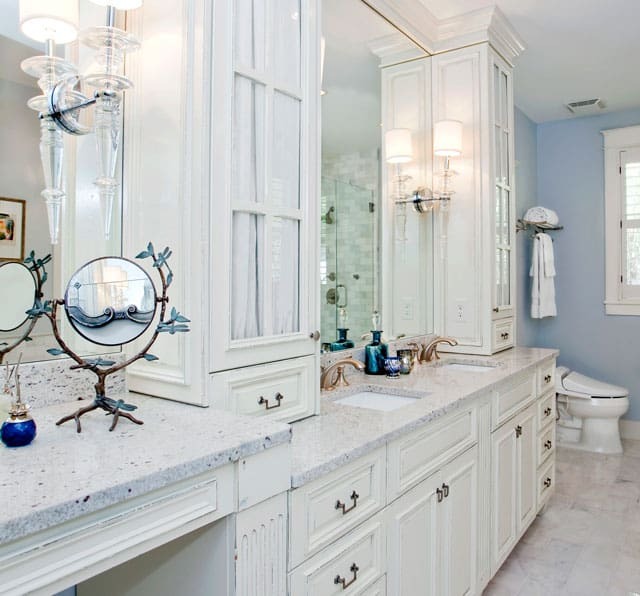 Adding final finishing touches can make a bathroom feel your own. 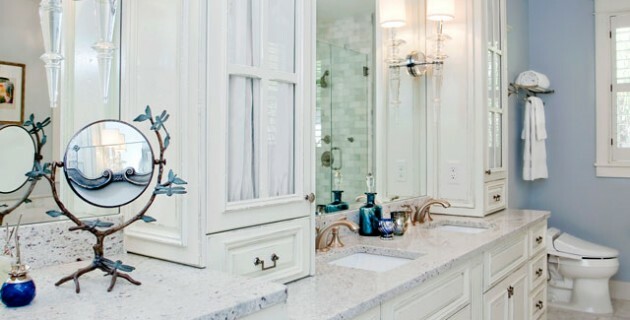 Adding a beautiful tap, ornate mirror, or custom cabinetry can give a bathroom a personal touch as well as a ‘wow’ factor. Bespoke bathrooms are going to be huge this year! Image Source: Betty Wasserman Art and Interiors, Ltd. 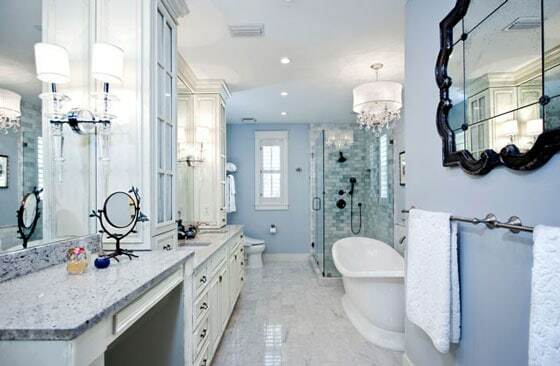 Built in bathtubs are becoming a thing of the past, with people now preferring walk in showers. For anyone who still loves a good soak, freestanding bathtubs are going to be the big thing in 2016. Squares are trending and can be seen everywhere in design, from web pages, cosmetics, and crafts. 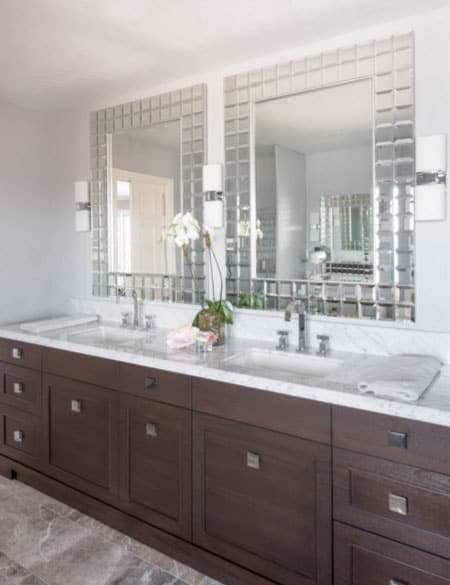 Squares work well in home decor, with a versatility that can adapt to modern, contemporary, and transitional style bathrooms. 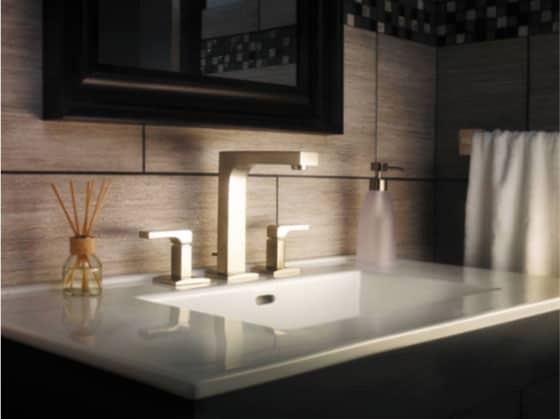 Geometric inspired faucets will be a hot trend in 2016! So these are the top trends I have found so far! Happy decorating!